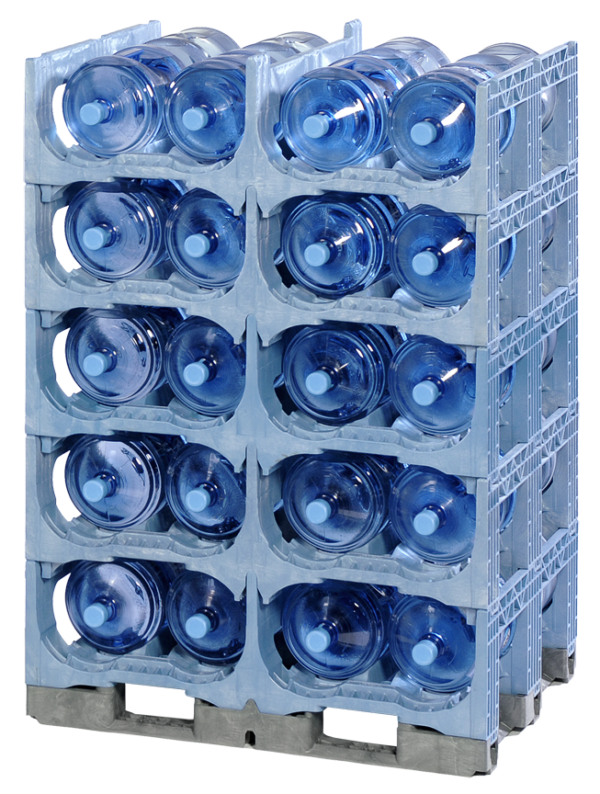 PSI’s TierStack modular bottled water rack is made from injection-molded, high-density plastic and has a number of features designed to make your job easier. They offer centering guides to help you find the right place to drop the rack by feel, which is useful when you’re lifting a heavy load. They have reach through access as well so you can get to the bottle you want without needing to deconstruct the entire structure. 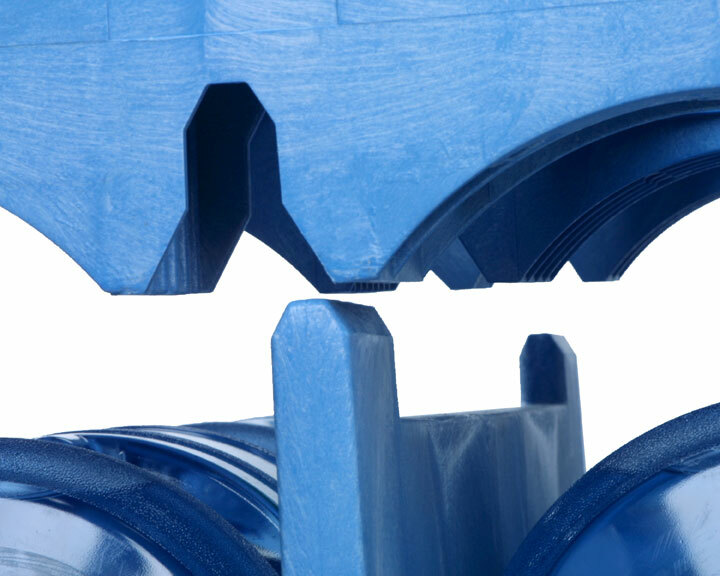 Our slide locks ensure the TierStack is held together tightly. That means no unexpected avalanches of bottles when things shift in transport or when you’re moving stacks around your warehouse. 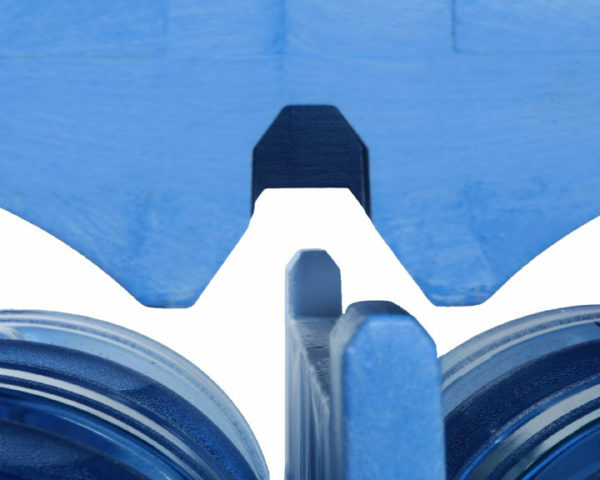 In addition, we offer several optional features with the TierStack, such as snap-on bottom deck to provide more stability and keep the bottles directly off the ground Our interlocking layers also protect the water bottles, guaranteeing they get to their destination without damage. Our TierStack rack can store a wide range of water bottles. It holds eight 5-gallon bottles, 20 1-liter bottles and 12-3 gallon bottles. A warehouse or truck only has so much space, and you want to maximize that space through any means possible. 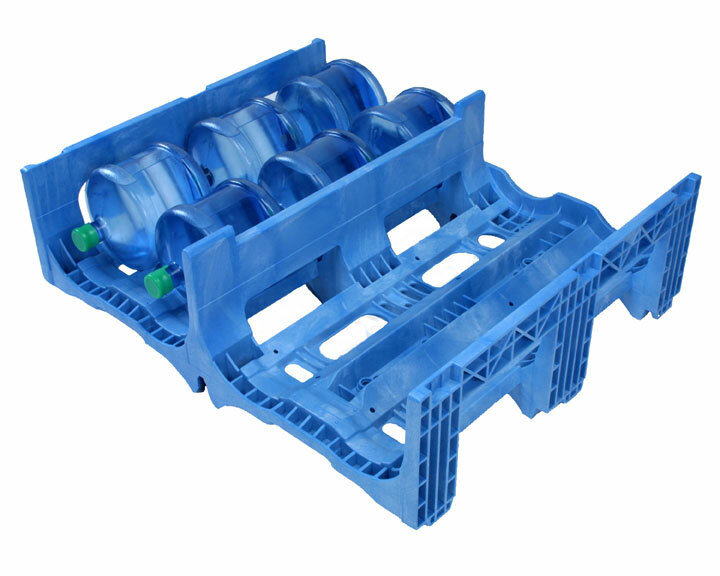 Consider doing so with our TierStack interlocking bottled water rack. 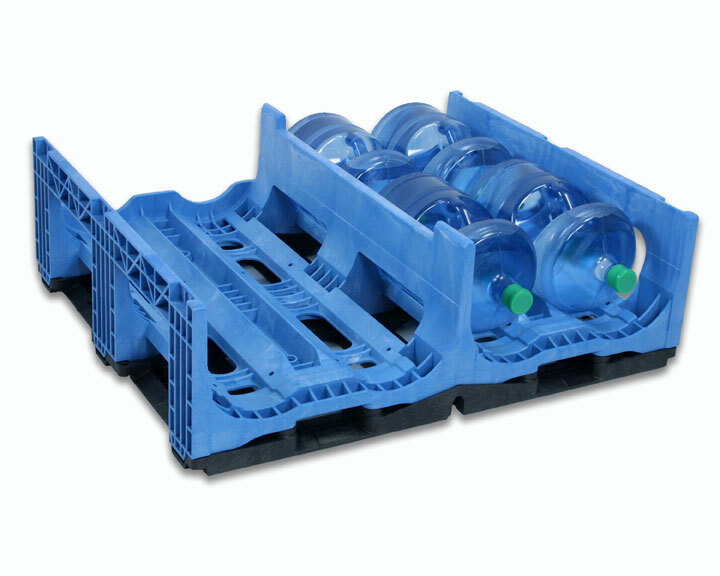 Designed to minimize the costs usually associated with the transport and storage of water bottles, our unique trays have a slide-and-lock feature that also optimizes safety, keeping your employees’ hands and fingers free from harm. Using TierStack for your 5-gallon bottled water racks is easier on your facilities and vehicles than using metal racks. They can scrape floors and often fail to stay in place on long hauls. Your loads may be unsteady when you use metal racks, and you can’t use as many layers. Metal racks are also heavy and hard to move around. Our plastic stacking system eliminates those problems. With TierStack, you can go up to 15 layers high, allowing you to utilize vertical space that, up until now, likely went to waste. 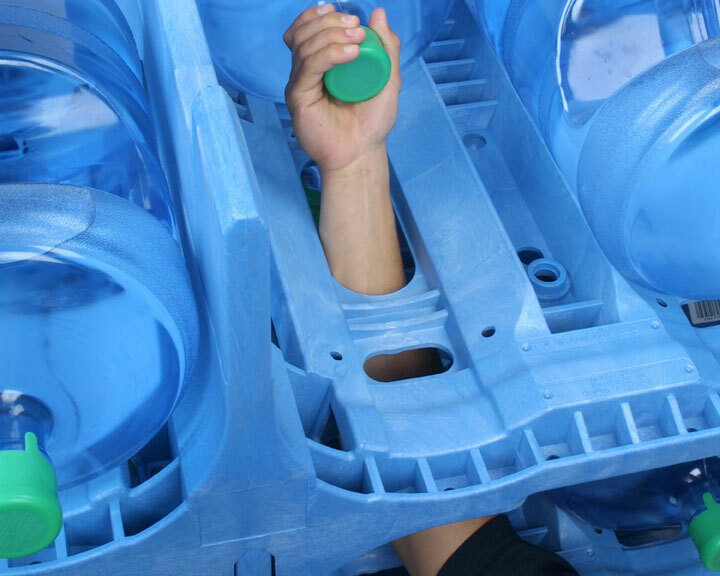 We make our plastic bottled water racks with polyethylene, a solid material that protects your truck bay and transport trailers from scratches. 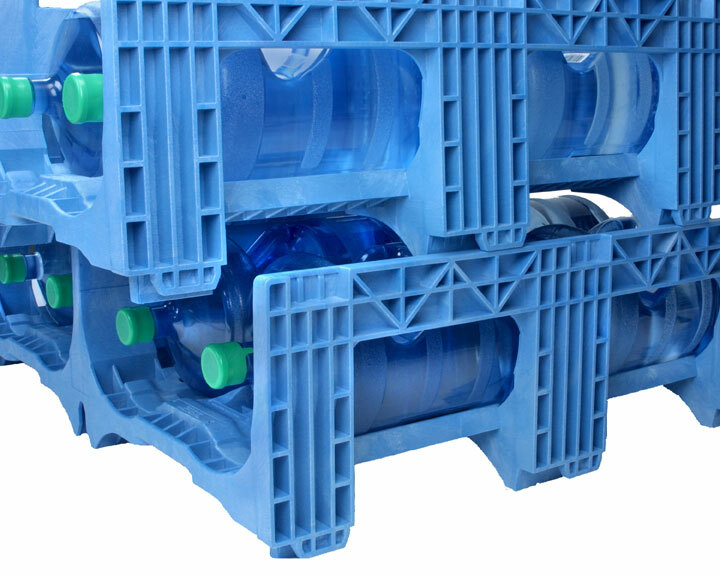 Polymer Solutions International, Inc., knows you have many choices for your bottled water racks. We strive to provide the most reliable cost-effective products on the market and we win returning customers through the durability and reliability of our racks. There’s also another reason why PSI stands out and that’s our commitment to sustainability. We use recycled materials whenever possible and we keep our products out of landfills by offering buy-back programs. When our racks have reached the end of their lifecycle, we’ll buy them back from you and turn them into new products. We also employ reusable packaging instead of disposable, further strengthening our commitment to green practices. When you need to transport or store a large number of water bottles, consider using our TierStack system to simplify your process. Contact us today to see how can help you.